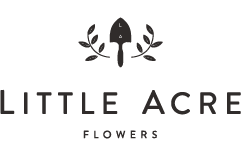 Little Acre Flowers delivered its first 100% local flower arrangements during a snowstorm in 2014. It began as a pop-up offering for Valentine’s Day, staffed entirely by one woman (plus her kind friends who pitched in to help make deliveries during the blizzard!) When she quickly sold out of Valentines, founder Tobie Whitman realized the strong interest in an alternative to traditional floral arrangements; DC’s only 100% locally-sourcing florist, Little Acre Flowers, was born. The concept of creating arrangements using only locally grown blooms grew from Whitman’s frustration with traditional florists whose flowers seemed neither fresh nor seasonal. After researching the waste and impact of the international floral industry, she decided to provide locally-sourced arrangements that are more sustainable, beautiful and fresh. Now operating with a small staff in a U St corridor studio, Little Acre Flowers offers daily arrangements for delivery through DC, MD and VA. The studio sources only from local farmers who provide fresh and distinctive varietals throughout the year. The arrangements always reflect the season and include only the highest quality and longest-lasting blooms. Tobie Whitman launched Little Acre Flowers after a career working with USAID and a number of NGOs in the field of international women’s empowerment. Because of her passion for green, living things, she decided to make a career shift. In 2010, she joined a high-end florist to do floral design and marketing. Over time, the imported flowers troubled her – there was so much waste, they died so quickly and the arrangements seemed generic. 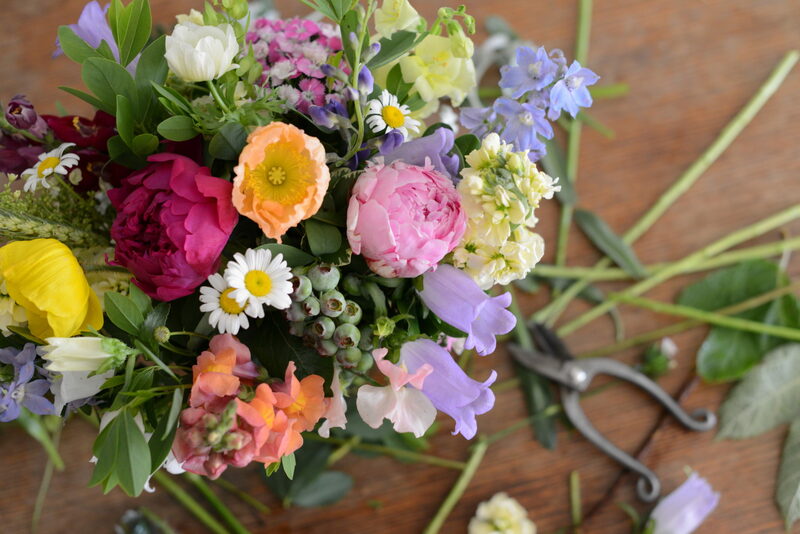 Driven to offer an alternative, she launched Little Acre Flowers. Tobie’s love of flowers comes from her Dutch grandmother and her youth spent alongside the ranunculus fields in San Diego county. Tobie brings wide experience to the business; she has a BA from Harvard and a PhD from Cambridge. She lives in NW DC with her husband, Dan Yates, two young sons, Simon and Gabe, and dog Melvin. Through Little Acre, she’s able to combine her passion for nature and a desire to be socially and environmentally responsible, while also finding the very best offerings for her clients. Amber joined the Little Acre team in 2018, after several years of doing wedding and event florals as a “side hustle.” It was a dream for her to be able to turn her weekend job and passion in to a career. Not only does she love bringing joy to people’s lives through beautifully curated and sustainable floral designs, but she enjoys the business and logistics side of the floral world equally as much; she thrives on being able to use both sides of her brain on a daily basis! 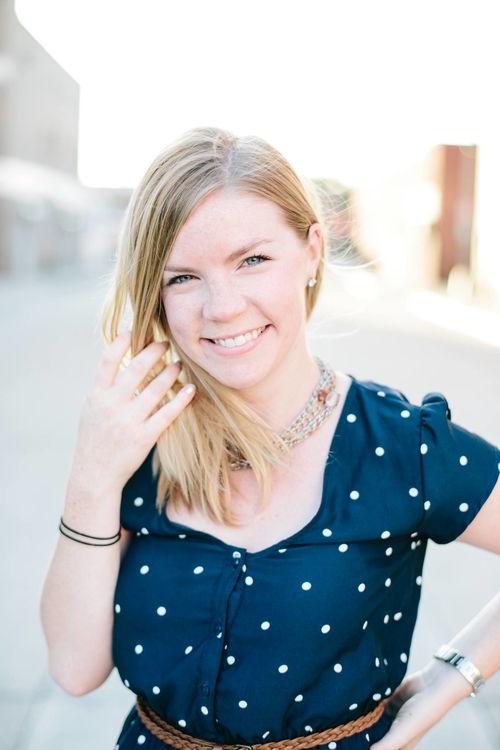 Prior to joining Little Acre, Amber was in the technology and startup world, as one of the early employees at Uber, and she dabbled in PR and media after graduating from Syracuse University (Go Orange!) with a degree in Public Relations and Marketing. Outside of the the studio, you’re likely to find Amber curled up with a book, whipping up something in the kitchen, or on her yoga mat (but realistically… she’s probably chasing her rambunctious toddler around). 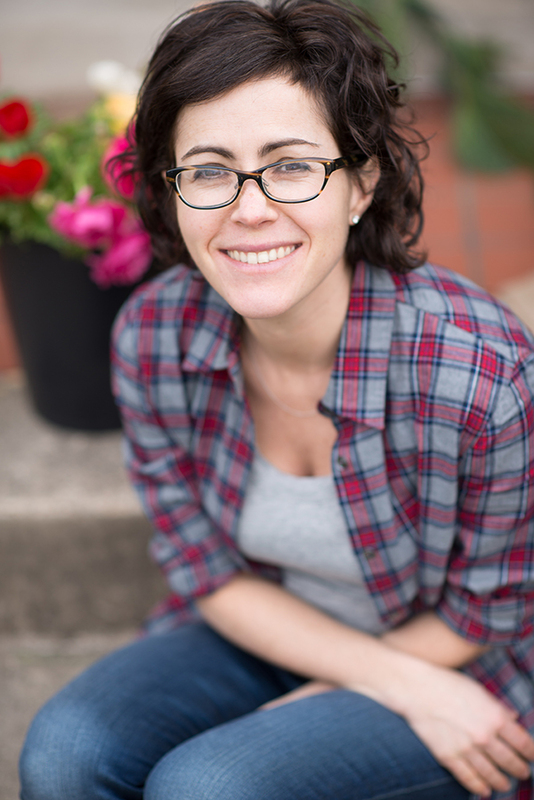 Amber resides in Northern Virginia with her husband, Andrew, and son, Simon.